Dr. Yanovskiy is the best podiatrist I've ever met in my life! My three-year-old son had a Flat Feet. I had consultations in a few clinics, but none of the doctors prescribed the right treatment for us. I accidentally found Illinois Foot & Ankle Clinic in Des Plaines. Dr. Yanovskiy put me right at ease with his professional yet easy-going nature. He gave us a great and thoughtful advice and prescribed an effective treatment. After wearing special orthopedic shoes, my son got rid of the problem. 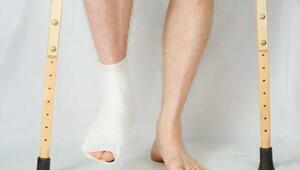 I've got a problem of a transverse flat foot for several years. As a result, the hammer toes were caused by this pathology on my both feet. There was the early stage of the disease, and Dr. Alex Yanovskiy recommended correcting toes deformity by the conservative methods of special orthopedic insoles or comfortable shoes wearing. I also was prescribed therapy gymnastics and massage at his clinic, and It really helped me. This doctor earns high marks. Have seen him over the years and have found that he and his office deserve these marks. In addition to his obvious knowledge of his medical specialty he indeed has a sincere interest in each patient. One quick story tells it all. My wife had a foot condition that might require surgery. This doctor recommended against this course of action. Not feasible. He had OUR interests, not his, in mind when making the suggestion. Obviously, honestly over all. I have been going to Dr. Y for about a year now and I am grateful for his honesty ( to try other options before surgery) and giving me relief until I decide what to do. Nely, the office manager ( I think she works 24/7!) is very nice and helpful. I recommended my friend to Dr. Y and now she loves him too. Her primary Dr. says Dr. Y is an excellent dr. All I can say is that for my problem, Dr. Y is going above and beyond to help me . Thank you ?? Dr. Yanovskiy is a great Docter. He knows what he is doing and will help. Came in with a laser voucher I got a free consultation and he explained to me the different options for my problem in my foot. He is patient, friendly and professional in his job. I got a second appointment for the laser and I have more alternatives in my treatment. Came into Dr. Yanovskiy clinic because I got injured during a rough game of basketball and twisted my ankle. The Doctor took an x-ray right away to find out if it was just sprained or fractured. 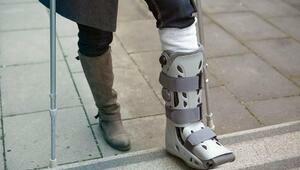 Turns out that I had fractured my ankle and got casted right away. I was able to walk out of the office in crutches, doctor provided me with pain killers and note for my job. See more group practices in Des Plaines.